Here are answers to some of the most frequently asked questions. If you have a question, or would like more information, please contact a member of our team. We believe that visitation plays an important role in the health and well-being of our patients. We do limit visitation to facilitate therapy schedules, training, activities, rest periods and a restorative night’s sleep. Monday – Thursday • 5 – 8 p.m.
Friday • 4 – 8 p.m. Weekends & Holidays • 9 a.m. – 8 p.m. Note: Visiting hours do not apply to caregivers participating in training and education. Is there a cafeteria onsite? All patient meals are served in the main dining room. 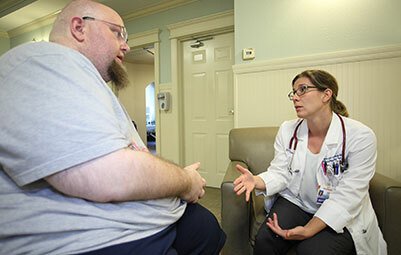 Visitors may pre-order and purchase meals to dine with a patient. Breakfast • 8 to 9 a.m. Lunch • 12 to 1 p.m.
Dinner • 6 to 7 p.m.
Can I stay overnight with my loved one? Caregivers actively participating in training and education are encouraged to room in as part of the rehabilitation process and transition to the home environment. Visitors not involved in training may not stay overnight in the patient’s room. 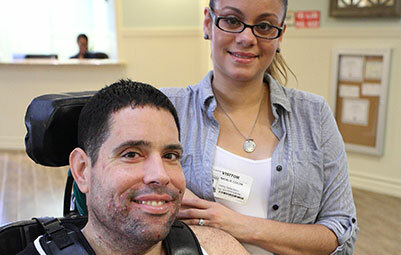 Read more about our Residential Rehab program. Prepare a bag with a 7-day supply of comfortable clothing and toiletry items. Elastic pants and rubber soled shoes are highly encouraged. Laundry rooms including supplies are onsite to facilitate the laundering of items during the stay. Bring any equipment you are currently using to preform self-care tasks or for mobility. When do the doctor’s visit the facility? Our attending physician rounds on Monday, Wednesday and Thursdays. Specialty physicians round on rotation. The nurse or case manager will be able to notify you when you are scheduled for a physician visit. We highly encourage and support a smoking cession program at the facility, however, we do provide a designated smoking area within the courtyard for those who wish to use tobacco or vaping products. 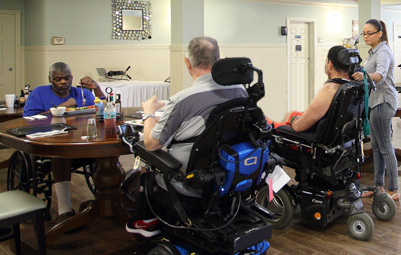 Read more about our Residential Rehab Facility.